Not that we’re biased, but the fact that Jarrold is one of the retailers featured in this book ought to make it even more fascinating than it would otherwise be! Founded in 1770, Jarrold moved to Norwich for the first time in 1823 and opened a “bookselling, printing and binding” shop in the city. The book provides a concise history of the family business from that point to the present day. 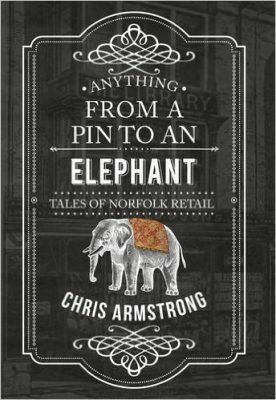 Chris Armstrong’s volume also features chapters on some other well-known East Anglian brands, including Aldiss of Fakenham, Roys of Wroxham, Palmers of Great Yarmouth, Bakers & Larners of Holt and the Break charity shops. You don’t realise how much buses have changed over the years until you see photographs of them from over 40 years ago! 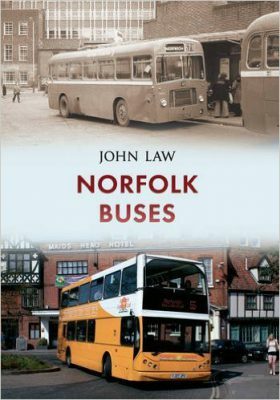 In the rural county of Norfolk, the bus has been a particularly important means of transport for generations. The author – a transport enthusiast and photographer – has been photographing buses in the region since 1970, and his comprehensive collection of images will bring back memories for many readers. In fact, the collection of bus photographs – most of them in colour – take centre-stage in the book. It also features a short history of bus services in the region. There have been numerous walking guides over the years covering the Peddars Way and its continuation along the Norfolk Coast Path. 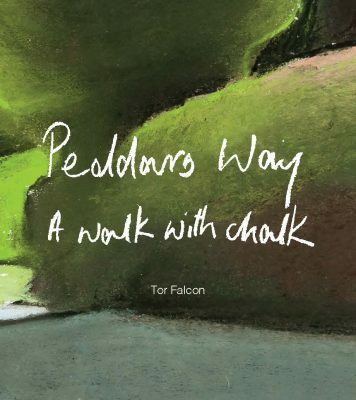 However, this new title doesn’t pretend to be a practical guide; instead, it is the record of the author’s journey along the Peddars Way, told both in words and in her extremely accomplished chalk drawings. There are 41 illustrations within the guide, each with its accompanying essay, and all combining in a handsome and fascinating keepsake for those interested in this historic path. At the end of the book is both a short history of the Peddars Way and a slightly mind-boggling selection of conversations and phrases overheard by the author during her walks along the path. This isn’t a local-interest book as such, but then again all of us over a certain age will have 1971 in common in our musical heritage. 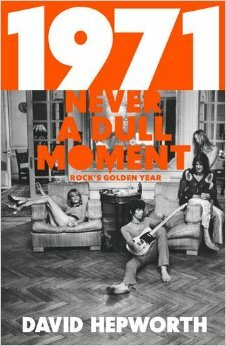 David Hepworth makes a big assertion in this book: that the year 1971 simply marked the most creative time in the history of popular music. Many music fans will differ and look back at the 1960s as the most important years for pop; whilst others would point to other years and decades. The author isn’t particularly precious about his claim and understands why many people won’t buy his arguments – but this is something of a love-letter to a year and an era and his enthusiasm is boundless and infectious. If Bowie, T. Rex, Slade, Led Zeppelin, Neil Young, the solo Beatles (or any one of a host of other performers and musicians from this era are your kind of music), you’ll find something to cherish in this fine book. The US 8th Air Force came of age in the England of 1944, much of it from East Anglian bases. Whether targeting German aircraft production plants, bringing the Luftwaffe to battle over Berlin, the combined USAAF-RAF round-the-clock campaign of bottling up the German army in Normandy or the strategically vital oil offensive of the following autumn and winter. Day after day, the American bomber boys watched their comrades fail to return from dangerous missions, but by the following spring they had destroyed the Nazi fighter arm and seen Germany broken in two. 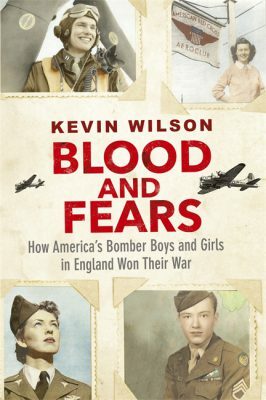 In this comprehensive history, Kevin Wilson has interviewed veterans, visited archives and allowed the youngsters of the 8th to tell their stories of blood and heroism in their own words. At the same time, he has opened up the lives of the Women’s Army Corps and Red Cross girls who served in England with them.